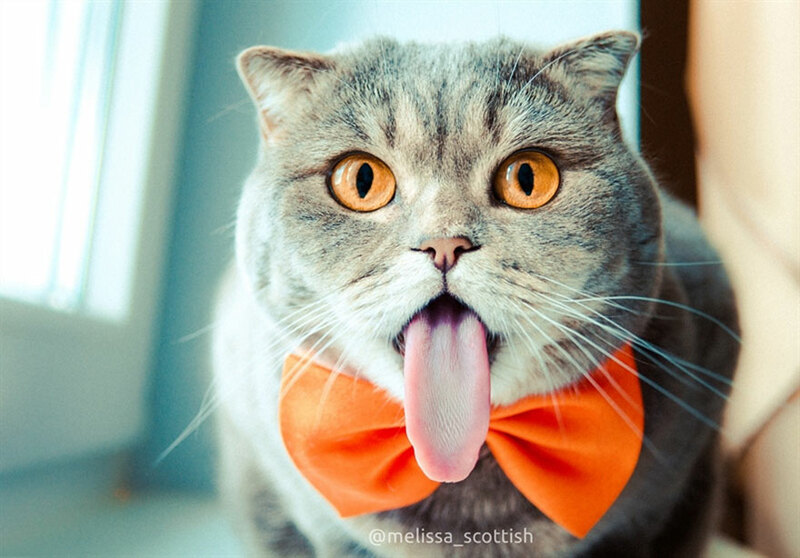 Melissa, a Scottish fold, belongs to Alina Esther, a photographer in Russia. 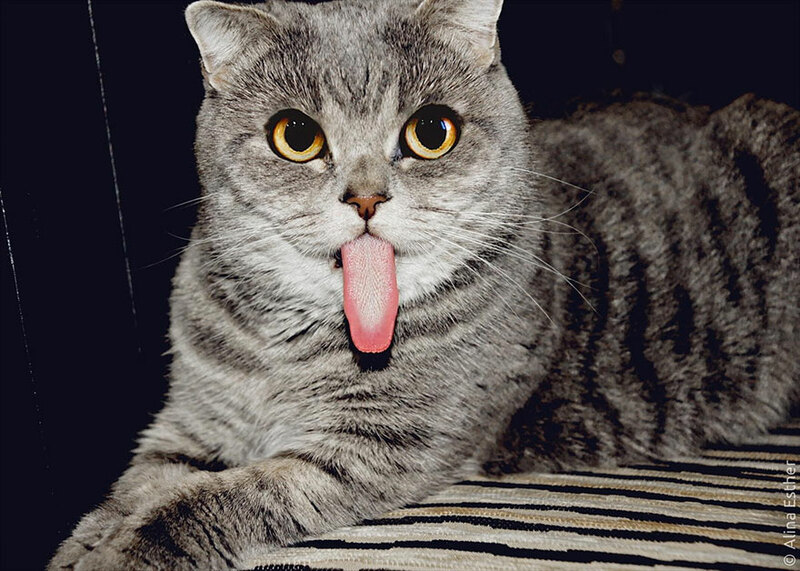 Some cats stick their tongue out because they are missing teeth, but Esther says this isn’t the case, and that all of Melissa’s teeth are intact. 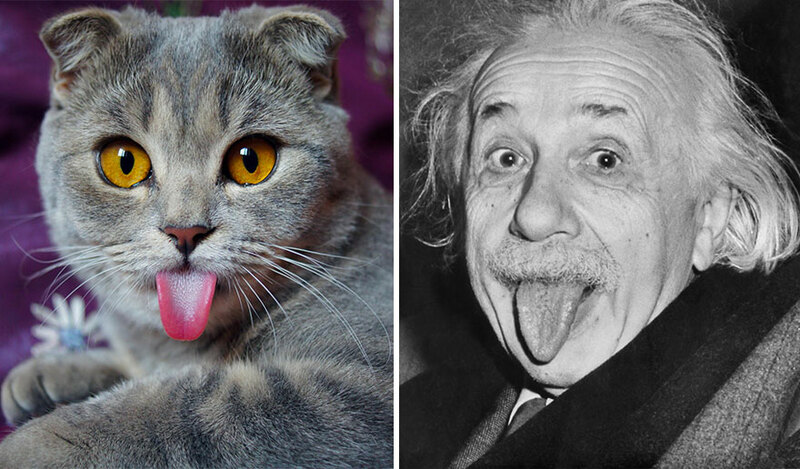 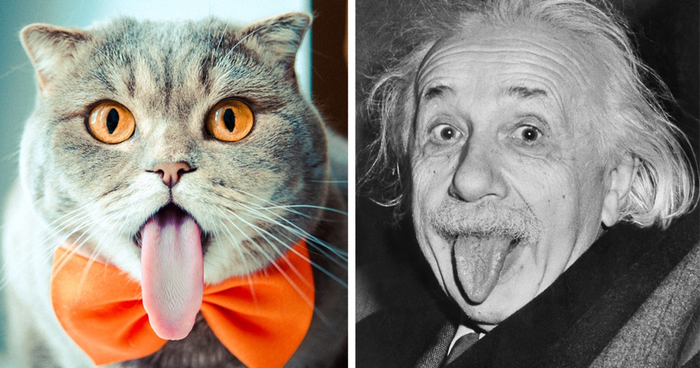 Another internet celebrity, Lil’ Bub, sticks his tongue out because he’s missing some teeth. 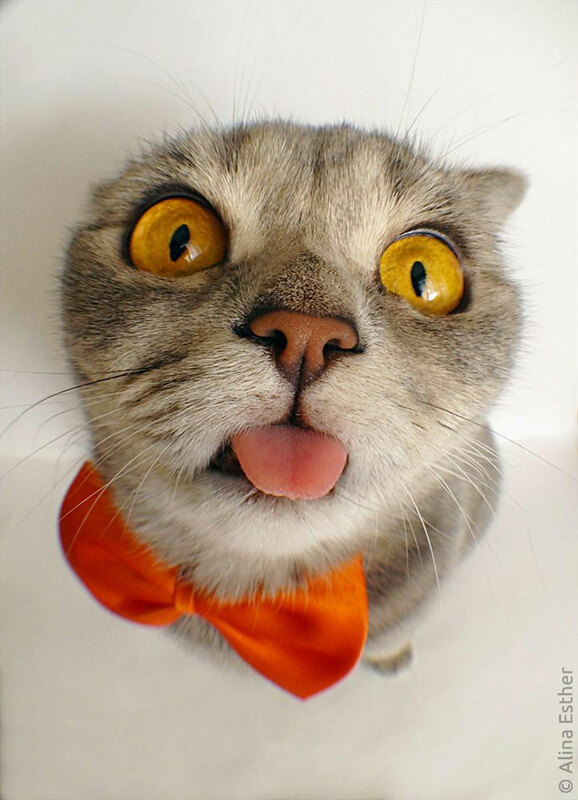 Don’t worry, her tongue isn’t broken!